Surely it’s the dream job? It’s just powder skiing, champagne après ski, hot tub frolics with chalet staff and the occasional bit of teaching really good skiers / riders to go faster isn’t it? Well, not exactly, but I guess there might be occasional opportunities to do all those things (they seem to mostly have passed me by though). 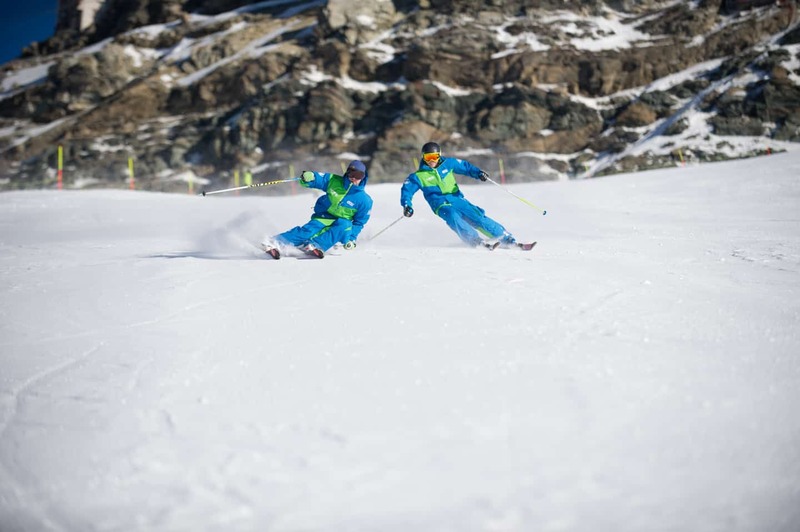 Regardless, teaching skiing is a great job and, if you really want to do it (as a few years of fun or as a serious career) here are a few thoughts as to how you go about getting there. First up get yourself qualified. If you know where you want to work and you speak the local language, it’s worth checking out the qualification pathway for that country. Otherwise, choose an association that speaks your language. Most associations have a series of levels that one must work through to become ‘fully’ qualified. It might not be necessary to complete all the levels to teach where / what you want to teach. Once you get your qualification, it’s time to look for your first teaching job. This is the tough bit. It’s a hard job market to crack. 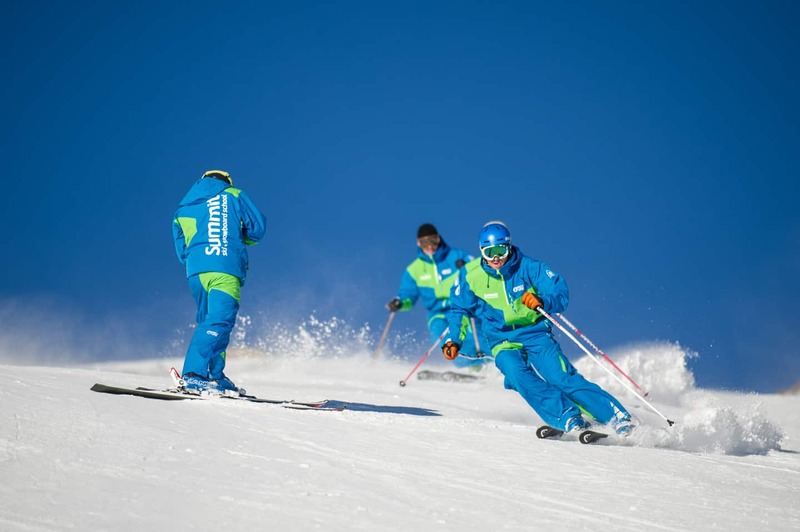 Here at Summit, we get approximately 200 applications every year and generally employ only a handful of new instructors each winter. I guess other schools also have a hard time to choose which instructors will work out best for them. Check out how far you need to go before getting a surprise once you embark on the instructor journey. 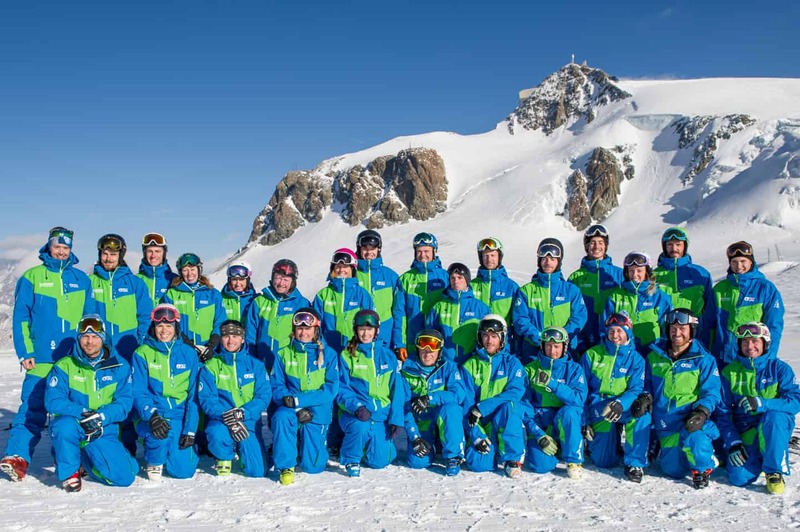 Here at Summit, we employ mainly BASI (the British Association of Snowsports Instructors) qualified instructors although we also have Swiss, American, Australian, Austrian and NZ qualified instructors. 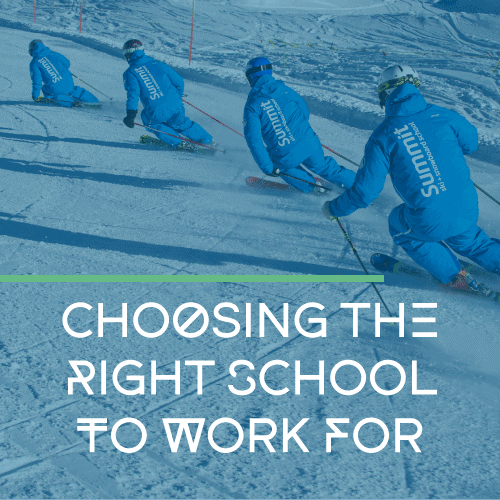 For us skiing at an ISIA standard and a couple of seasons teaching experience as our minimum requirements for new applications. 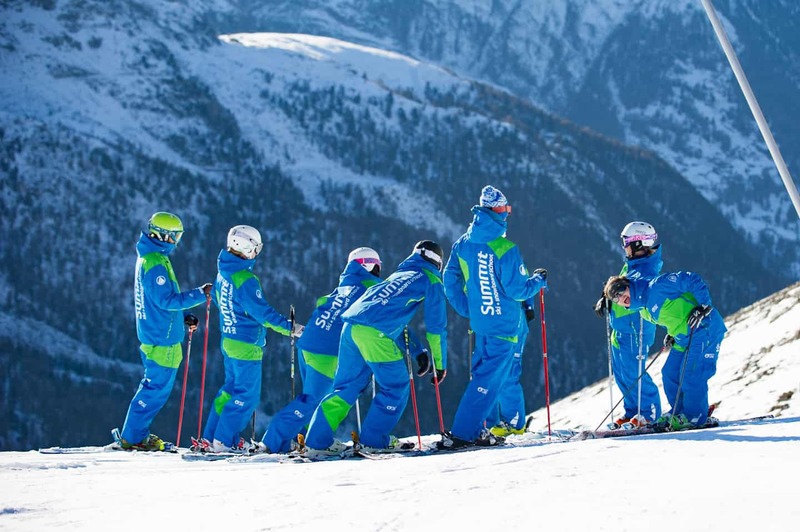 Every skiing nation has their own instructor’s association. Which one you choose to train with depends on languages you speak, where you’d like to work in the future as well as where you are from. Make the effort to individualise your application. Research who the owners / directors of a school are and address your application to them personally. Find out the core values of a school and align your application with them. Many schools have a ‘recruitment’ section to their website. Take the time to read it and think about what they look for in an instructor. Tailor your application accordingly. Make an effort to advertise your qualities beyond your ski / snowboard qualifications. Experience teaching, other customer service jobs, second languages, work in other sports are all important factors in whether you might be a good instructor. We have previously employed an instructor where the deciding factor was his previous experience in stand up comedy! Think about making an initial contact by phone or in person. We work in a very sociable industry and the personal contact goes a long way. Hurriedly cut and paste the same ‘blurb’ into each email you send. “I’d love the chance of working in X and Y would be my 1st choice school to work for”, where X is the wrong resort and / or Y is a different school to the one being applied to, does not make a good impression. At least take the time to edit the previous recipient’s school name / resort accordingly. Assume your shiny level 2 badge is your ticket to work in any school that is lucky enough to have you. Find a school’s Facebook page and post a message along the lines of “Can I have a job please?” on their wall. Get your mum / dad to call up on your behalf. They might be more confident making the call than you (or more keen to see you leaving home / working in a different country) but they’re not the person potentially being employed. Just send your CV to “Dear Sir / Madam” at a bunch of schools with all the addresses in the same address bar. Choose a photo where you’re smiling. Ideally, choose one with some snow in it so you look happy to be in the mountains. Choose a picture that looks like a police mugshot. Choose that photo of you drunk at the office Christmas party / last wedding you went to. Prepare yourself to discuss the resort in which you’ll potentially be teaching and the school for which you’ll hopefully be working. Think about some teaching experience you can try and slip into conversation highlighting how good an instructor you are. Have a few questions ready to ask about the resort or the school or the job. All these “don’ts” might sound a bit ridiculous but they are all things that we’ve experienced here at Summit. 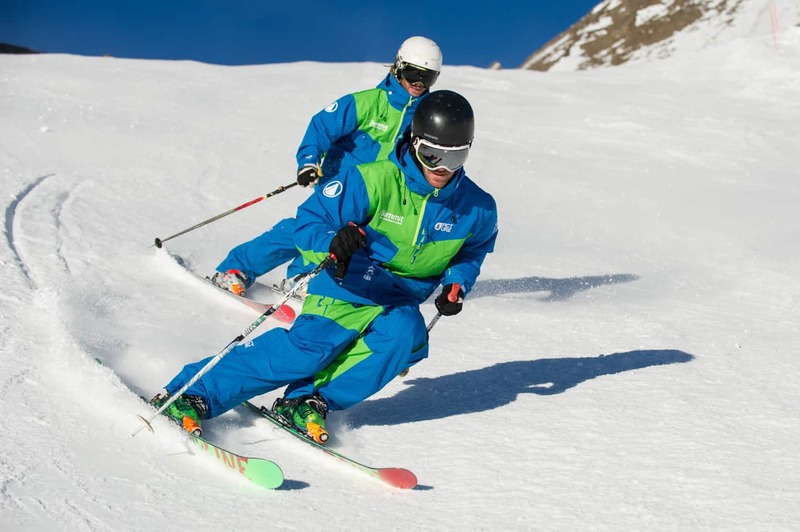 If you’re thinking of starting down the road to being a ski instructor, we thoroughly recommend it and look forward to your application (with a smiley photo of course). Good advice Paul. Look forward to seeing you next Winter. 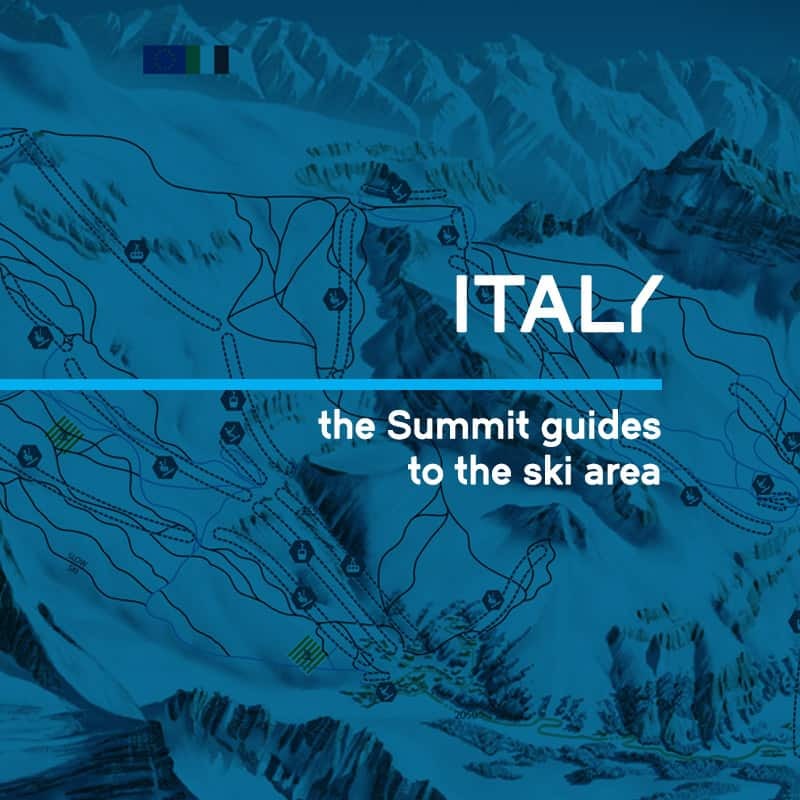 What should I be looking for in a ski school? 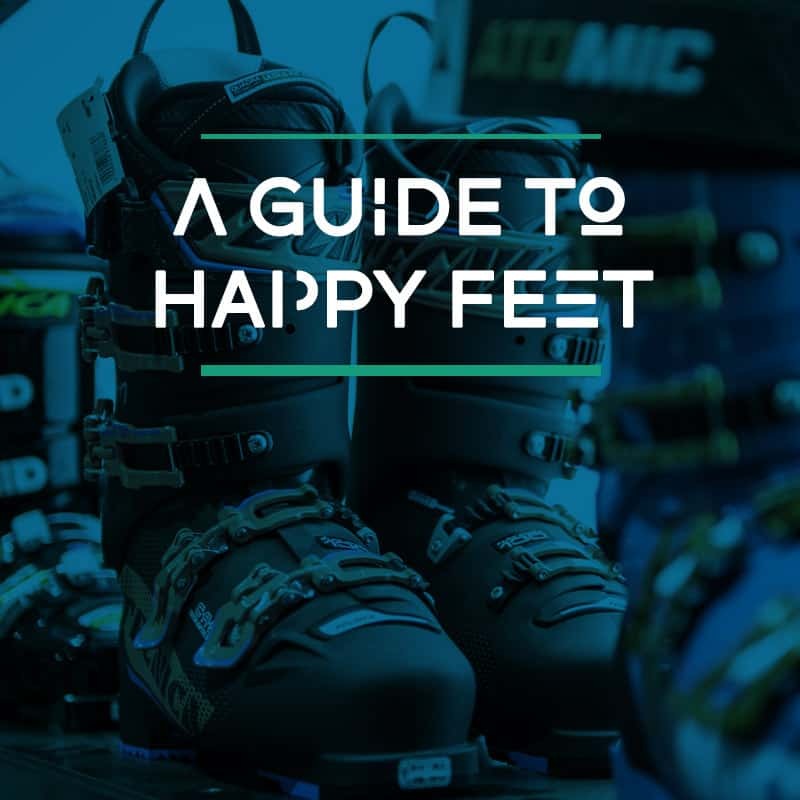 previous post: A guide to Happy Feet!